Gone are the days when you had to look for good washing machine repair shops near you. Now is the time to get good quality service for washing machine repair right at your door step. 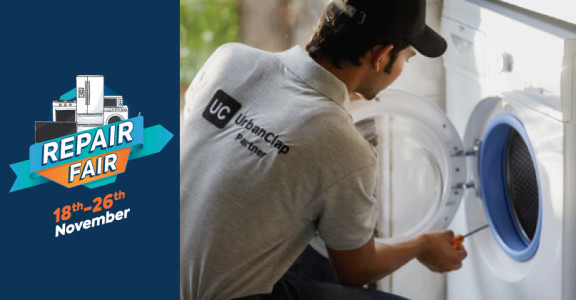 UrbanClap is here at your rescue to fix your Godrej washing machine in and around New Delhi. There are plenty of advantages that you get by availing our services: • Timely repair right at your doorstep • Technicians who are extremely qualified and experienced • 30 day service guarantee • Customer protection up to Rs. 10,000 So what are you waiting for? Book repair services for your washing machine on UrbanClap now! Got our Automatic Washing machine in a day. Good and punctual service. He is very efficient nd perfect in his job.